We are very proud to introduce the first release from the all new soulful drum and bass label Different Drumz Recordings, ‘Lurch – Energy Is Paramount EP‘. 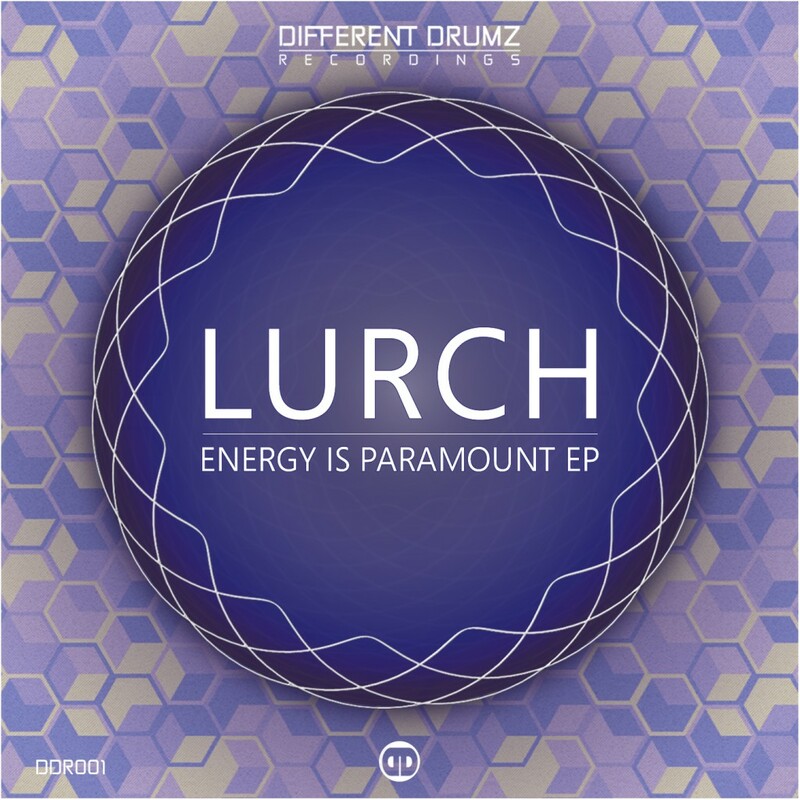 We get the ball rolling for the label with a beautiful four track EP from our good friend and rapidly rising star in the liquid drum and bass scene Lurch, known for his releases on Soul Deep, Intrigue Music, LDNB, Flexout Audio and now Different Drumz Recordings. The journey starts with the title track ‘Energy Is Paramount’, a lovely little liquid roller oozing with positive vibes! For this track Lurch has joined forces with his good friend and UK Hip Hop artist ‘Emerge MC‘. Next up we have ’90’s Kid’ with the usual smooth jazzy vibes we have grown to expect from Lurch but this time with an extra added sparkle from Al Pack who is well known for his releases on various labels including Soul Deep, Think Deep, Liquid Boppers & Soul Flex to name a few. As we roll into the third track ‘Inhibitions’ you will be mesmerized by the jazzy piano licks and female vocal hook before ending your journey with the last page of the story ‘I’ll Be Waiting’ with yet more smooth piano and some soulful thought provoking vocals from the main man himself! This EP is set to shake things up in the dnb charts and its just the beginning for what promises to be a solid ‘buy on site’ drum and bass label pushing out strictly the best in fresh drum and bass with soul – Different Drumz Recordings!